Back when I started framebuilding, blogs were a little too new for my tastes. Instead of writing a blog, I just wrote a web site, using notepad to write html. It's at http://www.littlefishbicycles.com/. So now blogging tools seem to be a whole lot more advanced, making the effort involved with writing html, formatting images, and publishing seem rather silly. Thus, I thought I'd try blogging instead, as a simpler way of sharing thoughts and ideas. 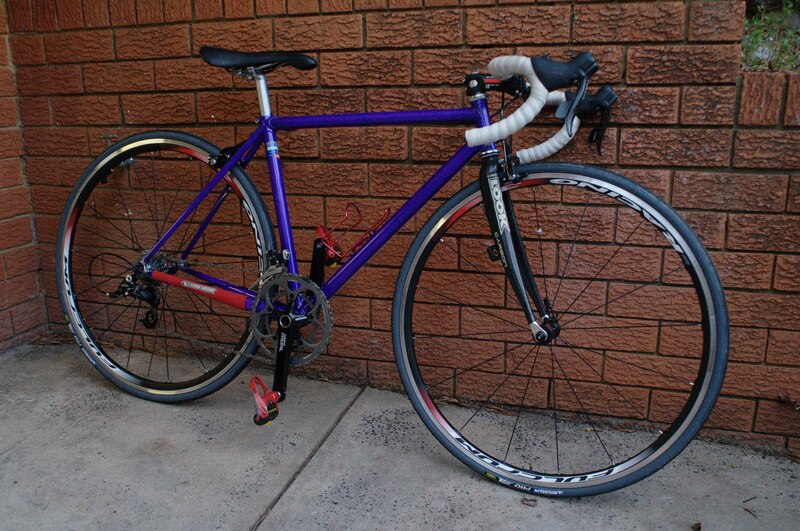 A road race frame for myself, using Columbus Genius oversize tubing, and either Henry James or Llewellyn lugs. 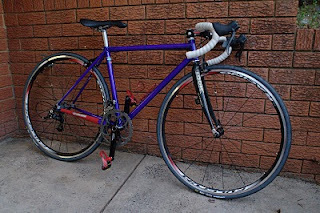 A track bike for Kristyn, probably based around 650C wheels, to better accommodate her shorter stature and allow for a decent drop from saddle to bars. A track bike for myself. A road racing bike for a friend, who's a little over 6' tall. This will probably be built using Columbus Life OOS tubes, using either fillet brazing or Llewellyn lugs. Depending on how the 650C track bike design goes, I might do a 650C road racing frame for Kristyn as well. Anyway, that's the plan. I'm still working in steel, and still doing classic lugged frames. I'll do separate posts for each of the frames, as the designs progress. I'm seriously impressed. I'm an amatuer framebuilder too. Having completed just two frames. And it was your site that inspired me to do it. So a sincere thank you. I do wonder though how you (a) bent your forks which you dont mention and (b) What you used for an alignment table which I found invaluable. I haven't built any forks (yet). Thus far my forks have all been carbon ones. I don't use an alignment table - instead I use a straight, flat tube, which I clamp to the drop out face. I read your Little Fish web site a while ago (2 years? Before you added frame #4, I think). You gave me hope and inspiration, since then I've built two frames - both bikes I now love to ride. I had loads of plans for more sophisticated contraptions, but in the end decided to see if something this simple would work, and it did. Many thanks to you, Suzy, for the inspiration and helpful tips. Glad to see you are still building.